Place quinoa, coconut milk, cocoa and sugar in a medium saucepan over medium heat. Bring to a simmer. Reduce heat to low. Simmer, uncovered, for 15 minutes or until quinoa is tender and milk mixture has absorbed. Remove from heat. Set aside to cool. 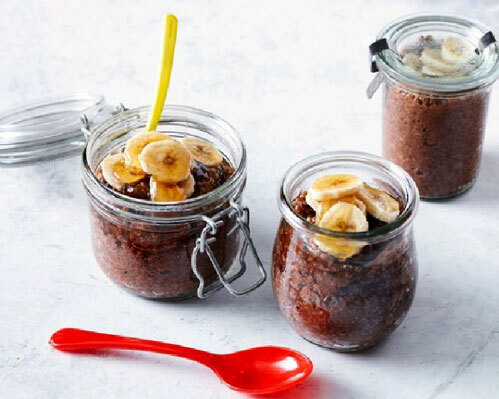 Spoon quinoa mixture among 6×1/2 cup-capacity airtight containers. Refrigerate until required. Top with banana and drizzle with honey.